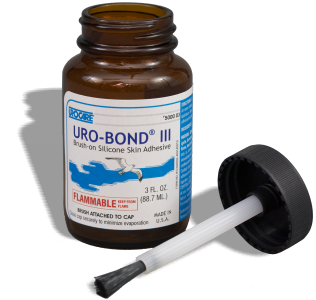 Urocare | Products - Uro-Bond III Thinner, Large 3 fl. oz. 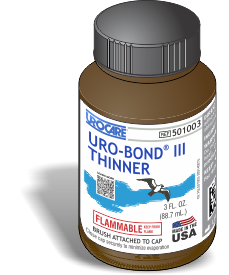 #501003 Uro-Bond® Thinner, Large 3 fl. oz. • Clean-Up by Soap and water. 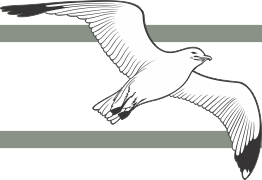 Suggested uses include but are not limited to use as a dilutant for Uro-Bond® Brush-on Silicone Adhesive as well as other medical adhesives, as degreasing agent or a solvent. 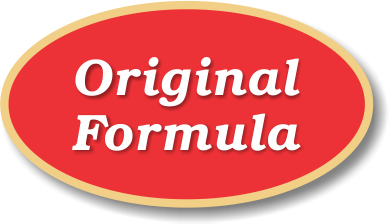 However, Urocare® does not recommend the use of Uro-Bond® Thinner as an adhesive remover—we recommend using an alternative product for that purpose—see Urocare® Adhsive Remover Pads.